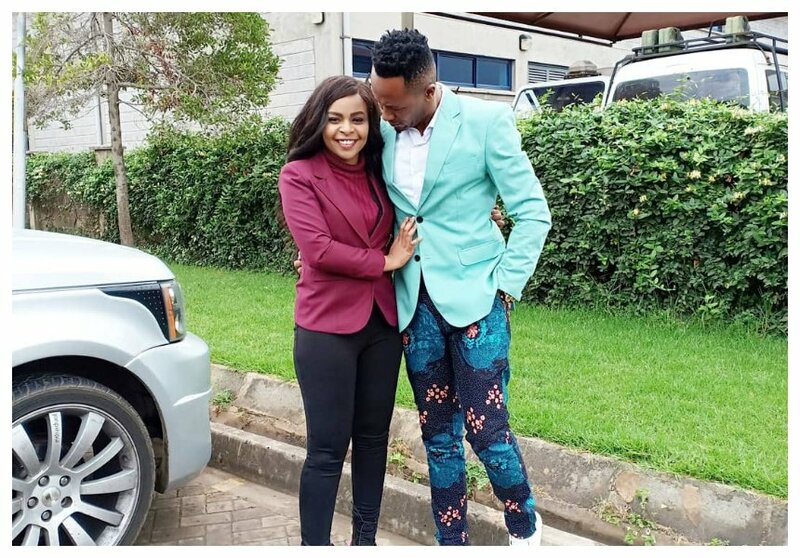 Gospel singer Size 8 was on social media recently to celebrate her man’s birthday as he turned 32 years old. NTV’s Crossover 101 DJ Mo has just celebrated his birthday and his wife was all part of it. The two might have a party later on today but first, Size 8 wanted to appreciate him on social media. “Hiyo picha someone can think it’s my little princess @ladashabelle, but that’s not her believe me am the mum. @djmokenya happy birthday all the best in life may you grow on spiritually more than physically that you may fully be who God wants you to be. So that God is pleased this is what’s important” wrote Size 8. Mo also took to social media to mark the day and thank his fans. “This is the day I was born , ooooh I dedicate it to you my God. May I continue serving you and always loving you . Thank you Almighty God for the Favor and the gift of life . To all my fans and supporters asanteni for always showing me love regardless .HAPPY BIRTHDAY to me . #TopadetopDj. Guys since jana usiku , my Mpesa imeweka moto .wacha nikule zenu pia and also by the end of this week we bless Bethsaida children’s home … #HappyBirthdayDjMo” wrote DJ Mo.